Coach Glavine was recently named the 2017 CAA Coach of the Year for his efforts this past season. Coach Glavine is a Billerica native who starred at Northeastern as a hitter before spending 10 years in professional baseball in the Indians and Mets systems. 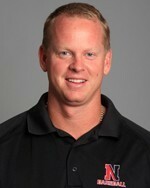 He returned to Northeastern as an assistant coach in 2007 before taking over as head coach in 2015. Since becoming head coach, Glavine has coached four Northeastern players to MLB Draft selections and has quickly turned Northeastern into one of the top landing spots for players looking to develop at the D-1 level. The MBCA is thrilled to have Coach Glavine partake in our panel discussion on hitting as well as discuss other topics of interest.